Cultural institutions tell stories. 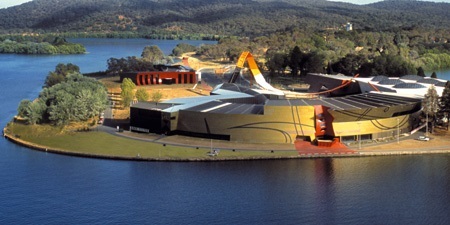 At the entrance to the National Museum of Australia, on its promontory on Canberra’s Lake Burley Griffin, the sign says, ‘Where our stories live’. Stories. Plural. Which is pretty much the approach Honest History takes when we say, ‘Not only Anzac but also lots of other strands of Australian history’. That is the idea behind the whole Honest History enterprise and website: while Anzac is important to Australia – not so much because of what Australians did in war but because of what war did to Australia and Australians – so, too, are many other parts of our history. All of these parts deserve to be researched, presented and, often, celebrated. The NMA’s “defining moments” exercise gives a very different view of Australia from one which emphasises tropes about Australia “being born” or “our character being forged” at Gallipoli or about “the Anzac spirit” being a model for Australians today. The comment went on to note that Defining Moments suggested that ‘warlike exploits are a relatively minor part of our history’. Only ten of the Museum-historians list of 100 Moments related to Australia’s war history and three of those were to do with the Frontier Wars era of domestic conflict. When Honest History first wrote about Defining Moments public comments on the original list had just started to come in to the Museum. Honest History was interested to see whether these comments confirmed or contradicted the original list. Four months later, members of the public have provided many comments on the list and have suggested 90 further Moments. This input has come via cards and comments in the Museum’s foyer and on its website. The Defining Moments website at present includes 50 of the public 90 (though the Museum kindly showed Honest History the next 40 as well, in advance of their imminent posting on the website). There is Dirk Hartog and the Rum Rebellion, cameleers and Vietnamese refugees, the Brisbane fire of 1864 and the Queensland floods of 2010-11, Douglas Nicholls and Catherine Freeman, cane toads and the Cronulla riot. Taken together with the original 100, these moments paint a picture of a diverse, many-faceted, even quirky society. All of the ‘strands’ of Australian history evidenced on the Honest History site are represented. Honest History asked Dr Carman-Brown what stood out for her in the public comments. ‘One trend that is pretty clear’, she responded, ‘is that there is a lot of support for many of the Indigenous Moments’. 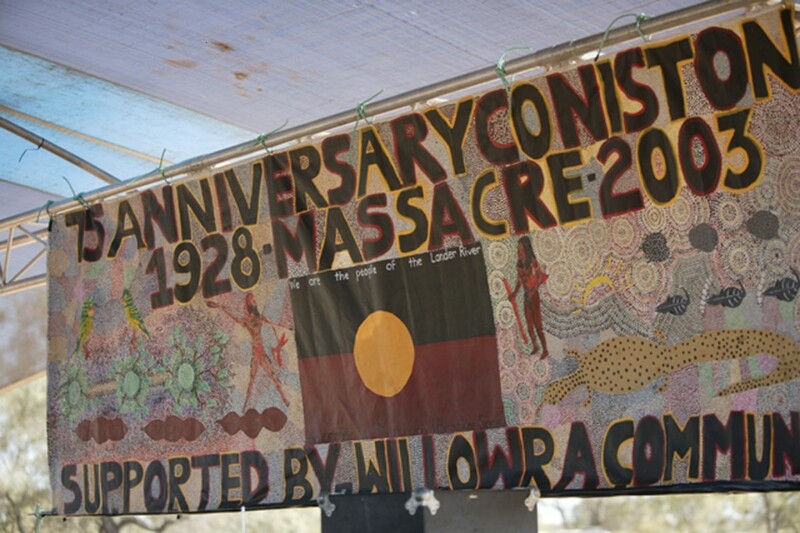 The website listing of 50 publicly nominated Moments bears this out (with Indigenous Moments more than a quarter of the list), as do public comments on the original Museum-historians list, where the most supported Moment (though all of the numbers are quite small) was 2008 National Apology to the Stolen Generations. Third was At least 52 000 years ago archaeological evidence of first peoples and 1992 Mabo came in seventh. Others in the top ten, in order, were 1788 First Fleet (2), 1770 Cook (4), 1901 Federation (5), 1966 end White Australia (6), 1901 start White Australia (8), 1915 Gallipoli (9) and 1854 Eureka (10). It is to be hoped that the Museum continues with and consolidates this interesting project. ‘The mark of success for us’, says Dr Carman-Brown, ‘will be the level of people’s interest in and engagement with the project. It’s all about invigorating public interest in Australian history.’ Meanwhile, the Defining Moments website welcomes public comment, has the complete lists of Moments, presents Featured Moments, and links to further resources. Honest History’s previous report on Defining Moments caused us to wonder whether the emphasis on military history during the centenary of Anzac might not properly reflect public demand. We quoted the remark by musician and commentator, Michael Stipe, that ‘[m]ore and more, what we “feel” about collective history seems like something manufactured, and kind of pumped into us, rather than a real emotion’. One of Honest History’s motivations has been to use the Anzac centenary to look more broadly at Australian history. Defining Moments does that and it should be praised accordingly. We are left, though, with this question: if military history were not thrust at Australians – ‘pumped into us’ in Stipe’s terms – would it retreat to its appropriate place in our many-stranded national history? In history, as in riding a bicycle, balance is essential.